Home / HairCare / SkinCare / The Jason Smoothing Coconut Oil For All Your Beauty Needs! 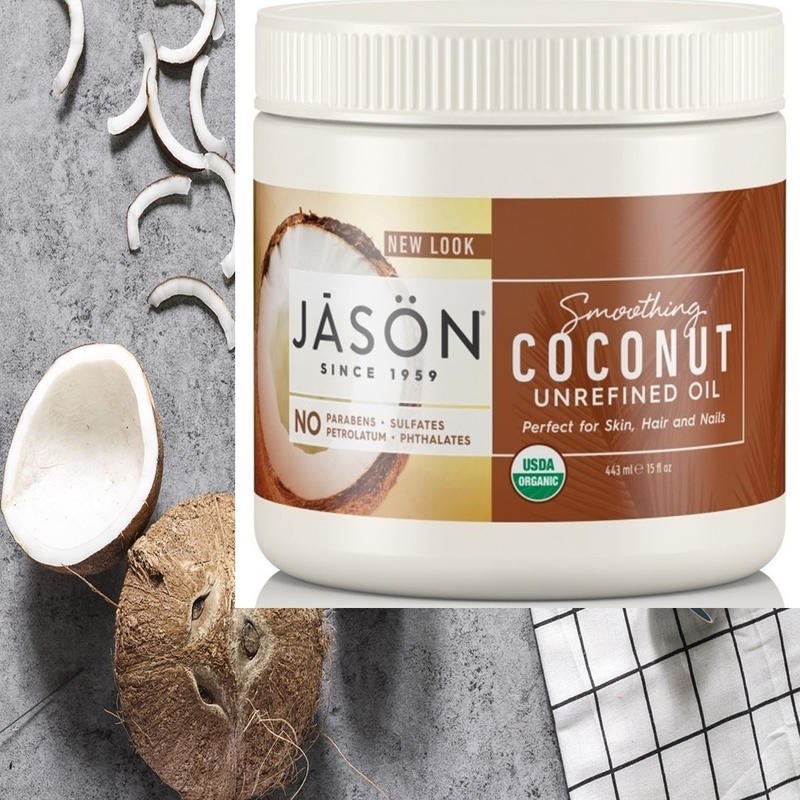 The Jason Smoothing Coconut Oil For All Your Beauty Needs! 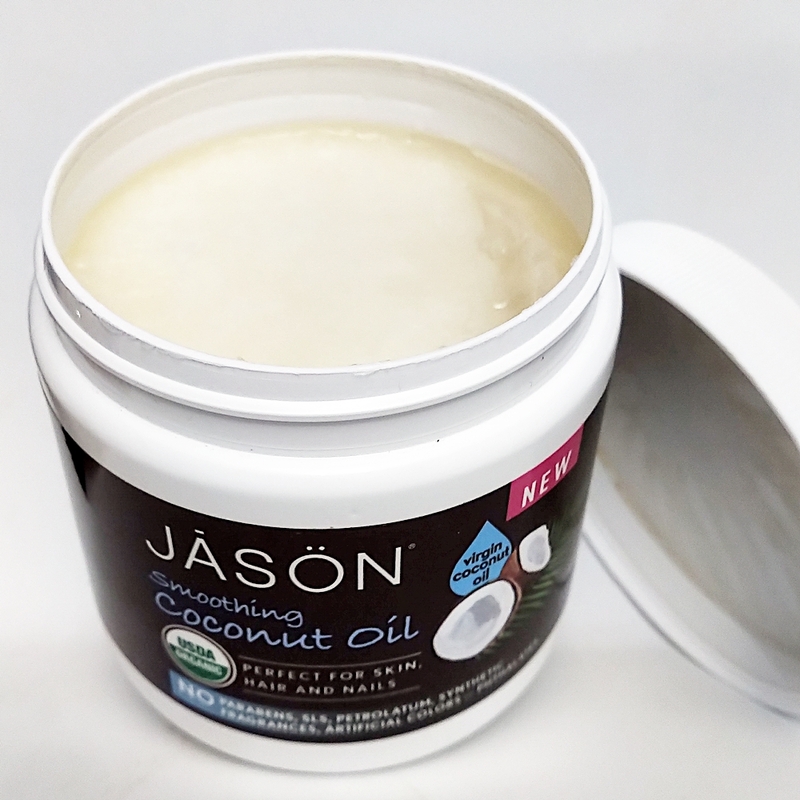 The Jason Smoothing Organic Coconut Oil presents itself in an impressive 443ml tub and is perfect to use for skin, hair, and nails. The melt-at-first-touch oil contains antioxidants Vitamin E and Polyphenols that rejuvenate, protect skin from free radicals, whilst also replenishing essential lipids for a balanced and improved skin. The certified USDA organic formula does not contain parabens, SLS, petrolatum, synthetic fragrances, artificial colors, and no phthalates to be awarded this certification. Twisting the lid off the fairly large tub you will find a silver protective layer that u have to break to access this desirable coconut oil, but how do you apply and use it? The multi-tasking coconut oil is renowned for its multi-purpose use to aid and help your beauty needs. It is important to note that before you start to use this natural product and reap the awards it offers, there are three different types of coconut oil available, because of the extraction and processing methods that are used. Unrefined coconut oil is the better option simply because of its extraction process that keeps all of it's natural beneficial content intact. Refined coconut oil is produced by extracting it from previously dried coconut and using chemical solvents or other methods, which means it will lose the pure beneficial content at the end of this task. Liquid coconut oil has unfortuntly had lauric acid removed to stay as a liquid, this means you will not benefit from the fatty acid that is known for its beauty benefits. The great thing about using coconut oil is that it is able to naturally treat, act, and be used alongside other products with little disruption. The oil is in solid form in the tub, but as soon as you scoop some out the heat from your skin melts it easily. Apply to wet skin after a shower or bath to lock in hydration for softer and smoother skin, while you can apply to any rough or dry patches for instant soothing. Treat dry and damaged hair by applying for half an hour before shampooing and you can also apply to ends after styling to nurture and prevent split ends. I was really impressed on how little you need on application and how quickly it absorbs, with out it feeling overly greasy or sticky. The natural sweet and clean aroma is enjoyable each time you apply and you have 18 months upon opening, before spoiling and proceeding to recycle the packaging. 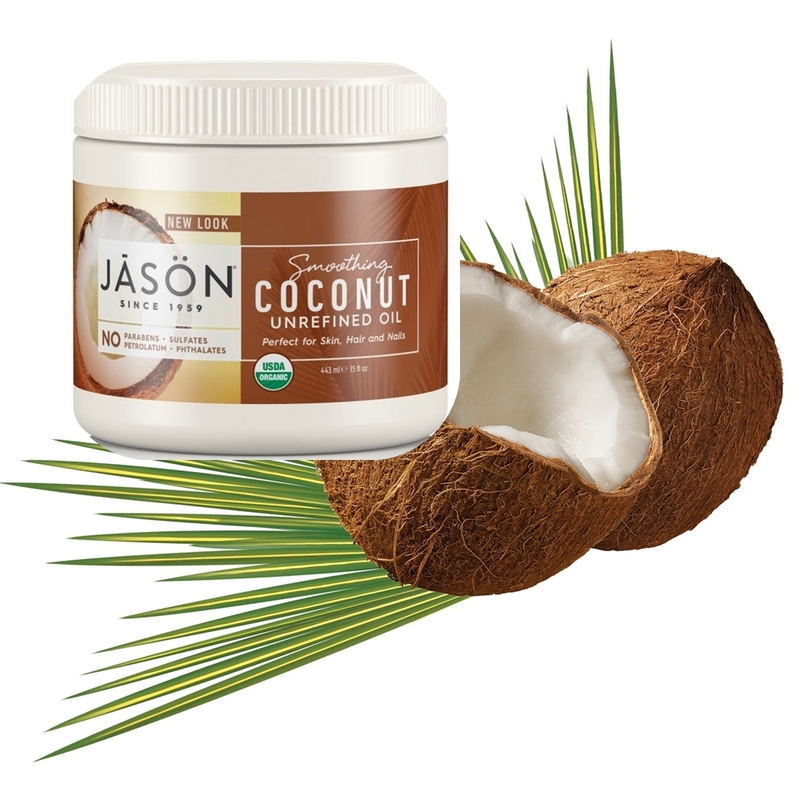 Purchase and enjoy the Jason Smoothing Organic Coconut Oil for all your beauty needs! X Neil.